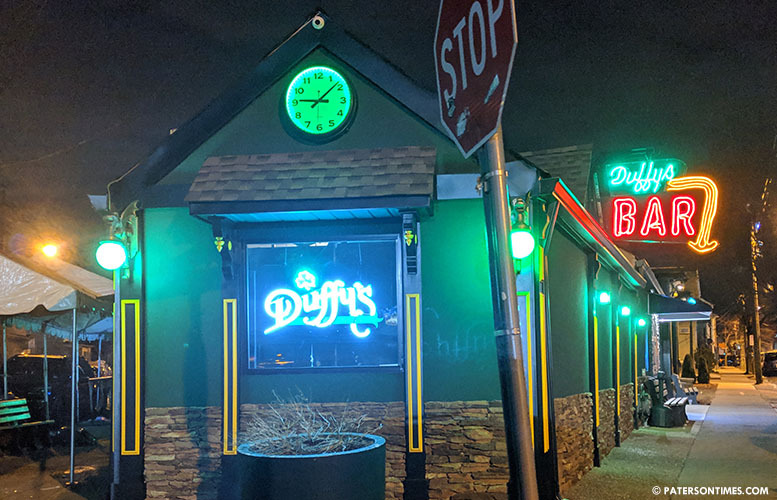 The death of 25-year-old Steven A. Sherlock of Fair Lawn following a fight outside of Duffy’s Tavern on St. Patrick’s Day is being investigated by the New Jersey Attorney General’s Office. Sherlock died early Sunday morning, authorities said. He was taken to St. Joseph’s Regional Medical Center following a fight at the bar on River Street for an evaluation. Police were dispatched to Duffy’s Bar and Tavern at around 2:44 a.m. on report of a fight outside the bar. A large crowd was outside the bar. Police were told Sherlock was involved in a physical altercation with a man and his girlfriend. Sherlock and the couple remained at the scene. All three were taken to the hospital for evaluation. Police relinquished custody for Sherlock to receive treatment. He was pronounced dead at the hospital at 4 a.m., authorities said. The bar where the fight took place is owned by Passaic County Freeholder Terry Duffy. The investigation is being conducted in accordance with a new law that requires the Attorney General’s Office to conduct investigations of a person’s death that occurs during an encounter with a law enforcement officer acting in the officer’s official capacity or while the decedent is in custody. So this article only.states the couple was taken to the hospital for evaluation. So this guy died and no one.gets charged? I guess the victim must be white! I believe the entity is own by a Passaic County freeholders. I read Duffy I believe. Really ?!?!?!!! Figure that out all by yourself ?? I am entitled to my opinion. I am living in a country where I have the right to freedom of speech. That what I so love about this country. I will never be pacify by no one. The bar is own by the freeholder that the reason why there is silence. 10 days later and still nothing no name nothing.